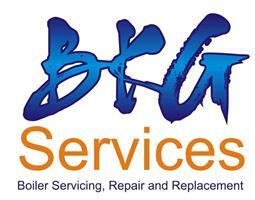 BKG Services - Central Heating Engineer based in Bournemouth, Dorset. Hi and welcome to BKG Services. My name is Steve. The two main areas of our work are boilers and bathroom refurbishment. Throughout the year we do many full bathroom refurbs, that's everything starting at removing all the existing equipment, tiles, even walls if necessary. Then rebuilding to suit your requirements. We can supply and fit everything you can possibly think of to do with a bathroom, baths, showers, toilets, basins, tiles, under tile heating, mirrors, you name it we can do it. We will tile, plumb, plaster your bathroom and all with a smile on our faces......... most of the time. Boilers are also a big part of our monthly schedule, we can supply and fit everything from a new boiler to a complete central heating system. Boiler servicing is a large part of the work we do. Steve recommends that your boiler should be serviced every 12 months or more often with heavy use, as do all the manufacturers. If possible get your boiler serviced in the summer, you are more likely to get the day you want for the work as in the winter we are very busy with breakdowns. Steve has been in the plumbing, bathroom and boiler installation, repair and maintenance business since 1986. As a company we have gained a high level of experience with boilers, central heating and bathrooms, in fact all domestic heating and plumbing, through continuous training and on the job experience. Our aim is to carry out your work request quickly and efficiently. It is important to respect your property and we will use dust sheets to cover work tops, carpets etc. to prevent damage. 'No Job is Too Small', rather a corny tag line but very true and it speaks for itself. For most small jobs we can provide a quote on sight but there is always the odd one that can't be quoted for. We will keep you fully informed as the initial investigation progresses. For larger jobs we provide a free quote. Payment can be by cash, cheque or internet banking.